Copy of Well Mama — Caroline Zwickson, M.A. Well Mama is a one-of-a-kind 8-week program that is specifically designed for passionate mothers who want to take excellent care of their health, re-connect with themselves –the woman behind the mom– while building a deep connection to their partners and a meaningful relationship with their kids. 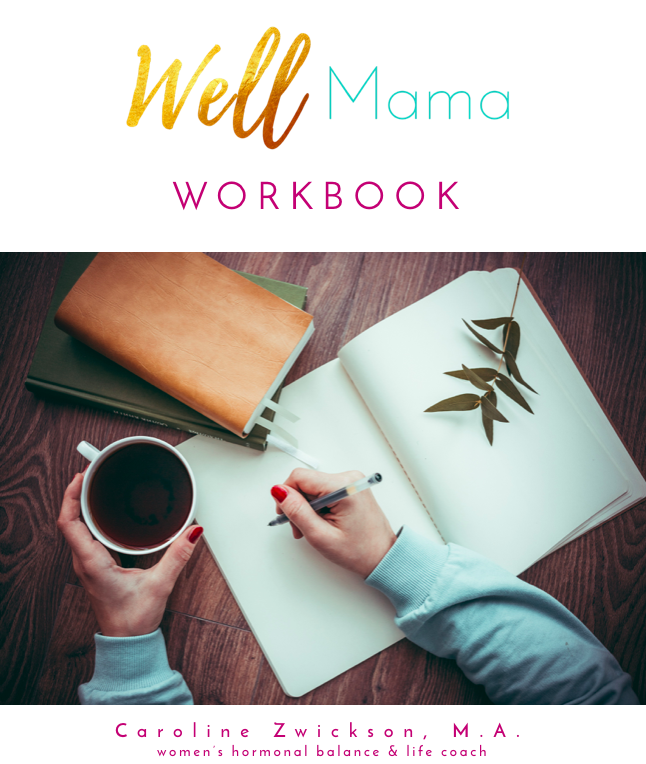 Well Mama marries health and life coaching for REAL moms who are as passionate about loving their kids as they are about loving themselves, staying connected to their partner, and (if they choose) rock their careers. "Well Mama gave me new purpose. I looked forward to Sunday when the next module would be waiting for me in my inbox and, I would count down the minutes to my son's nap so I could dive in to the new material. 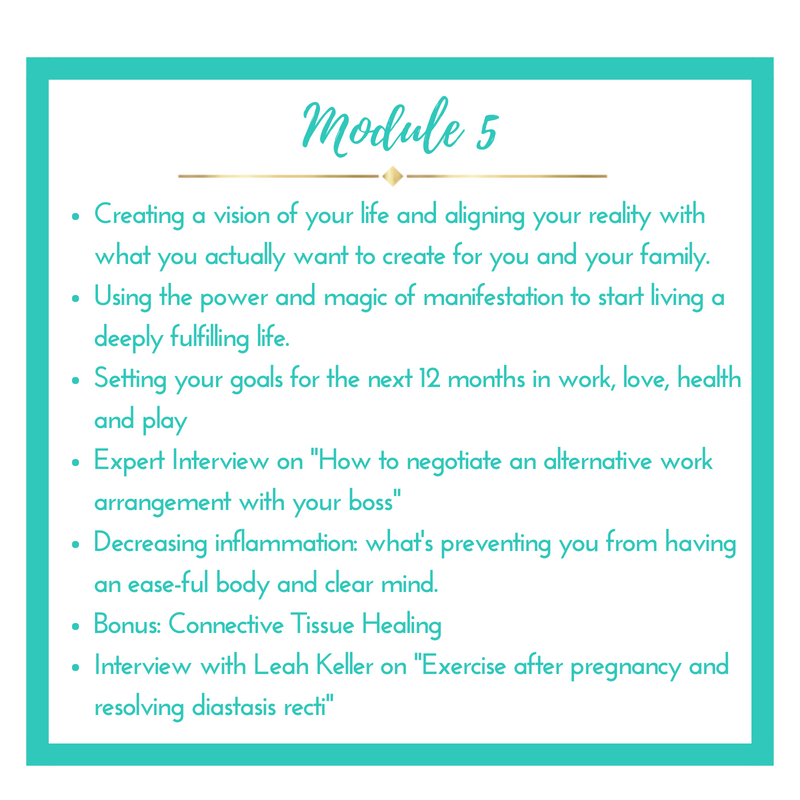 The course helped me set goals for myself as a mom, a partner, and a woman and I felt a sweet sense of accomplishment when I met those milestones or followed through with an activity. I have a hard time articulating what I want to myself and to others and I love that Well Mama forced me to sit down and be deliberate about imagining my ideal life and setting goals for the next year to get there. I've also made it a point to check in with my body when faced with difficult questions or situations. And lastly, Well Mama created an opportunity for my husband and me to reconnect and have deep discussions that most likely wouldn't have come up otherwise." >> You deeply care about raising a healthy, happy family. >> You love learning about different components of health & how to help your body and mind thrive. >> You suspect you may have a hormonal imbalance, but don't know how you would know or what to do about it. >> You know you have a hormonal imbalance and want to resolve it. >> You want easy tools to help you and your partner be on the same page and truly parent as a unit. >> You long to feel at home in your body (& mind) again and wish you had some simple ways to tune into it and honor it for all it's done through birth and nurturing your littles. >> You wish you had more guidance on what it actually takes to raise great kids, how to handle tantrums and manage all the big emotions in your home. 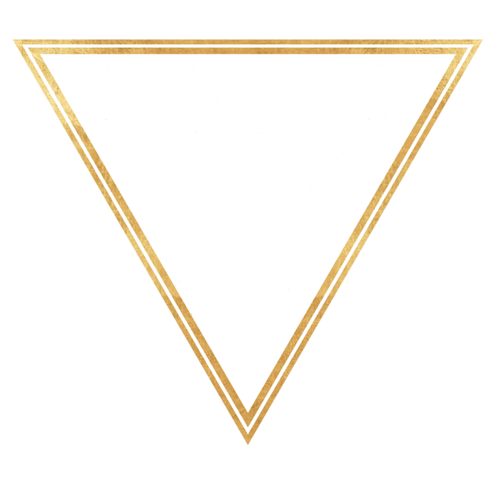 >> You catch yourself feeling lonely and isolated and want a tribe of other, REAL moms. For inquiries & questions, please email Caroline@carolinezwickson.com. "Well Mama has completely shifted the way I look at and understand my body. I realized that I was trying to be healthy but really had no idea what I was doing. I feel a million times better. My body feels more balanced, my mood is more stable and, dare I say it, my energy is coming back." >> >> >> 4. How much 1-on-1 time will I have with Caroline? This is a group program and therefore no private coaching calls with Caroline are included. We will have two live Q&A calls where Caroline will answer questions and do some quick individual coaching on specific questions. If you know you'd like more individual support you can book private coaching sessions with Caroline in addition.